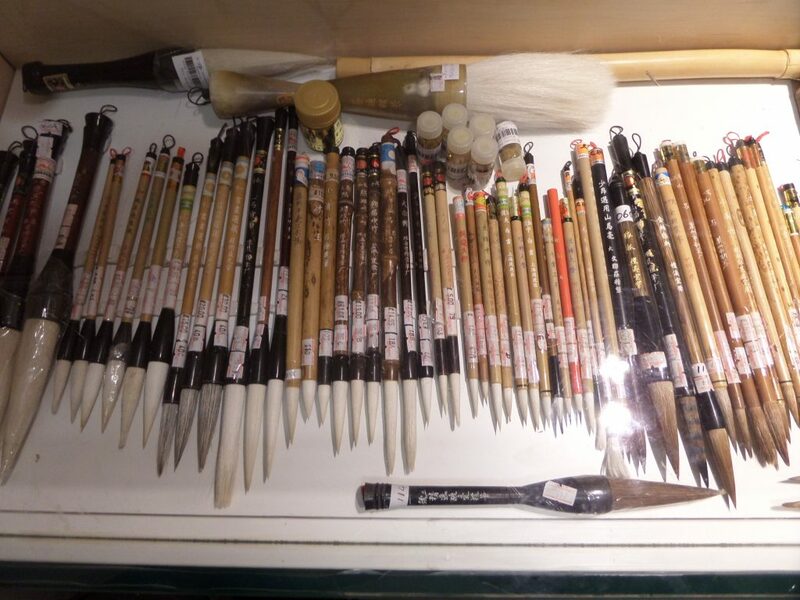 A selection of natural wolf and weasel hair brushes that are ideal for silk painting! I love the range of brushes on display and use Leaf Vein No.014 for the more detailed painting. This brush gives a good point and springy feel, good for control in small spaces. I also like the softer Goat haired brush No. 27 which is useful for painting larger backgrounds. I have bought the brushes that I use on the course from Guanghwa for many years. 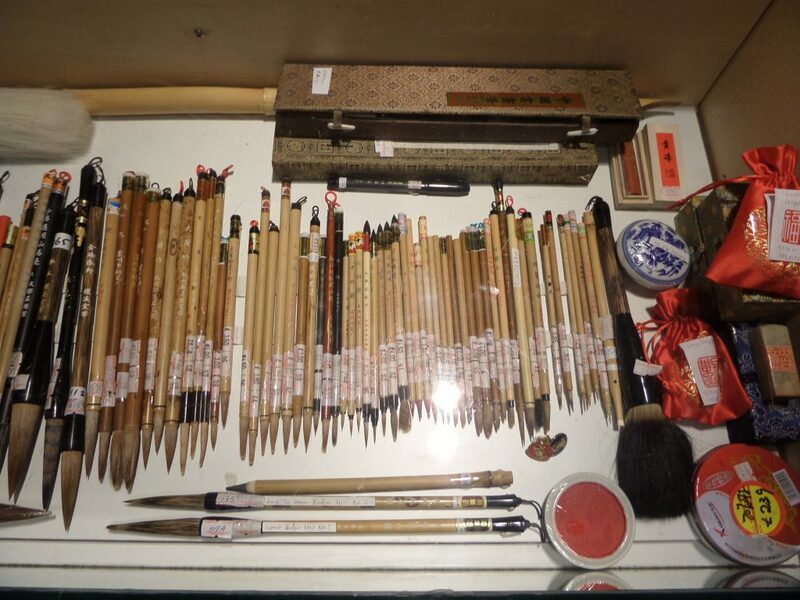 They are inexpensive, last extremely well, give a fine point and a good reservoir in the brush , ideal for silkpainting. Previous Previous post: Memorable silkpaintings of 2014!